Do you recognise anybody in these portraits? They come from a studio in North Shields which seems to have specialised in hand-tinting and copying photographs. They were discovered in the early 1970s by Brian Mills and Sirkka-Liisa Konttinen while they were mooching about one day in the town. First shown as part of Amber’s River Project in 1974, they had been found in a shop that had been abandoned. The door was open and Sirkka remembers the photographs as just strewn across the floor. 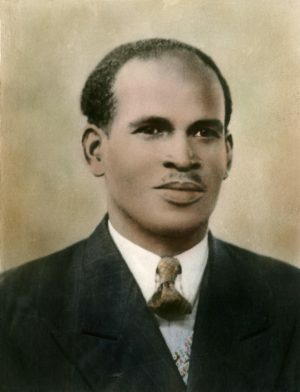 The only portrait we know anything about is that of Cecil Sealy (known as Cliff). Although, on the back it was spelt Sealey, on an off chance, we sent a copy of it to Mark Sealy, director of Autograph ABP, the London photography gallery that is concerned with questions of cultural identity, race, representation and human rights. Mark, who spent much of his childhood and youth on Tyneside and has collaborated with Side Gallery on a number of projects, identified him as his great uncle – and the reason his family had moved up to the North East. 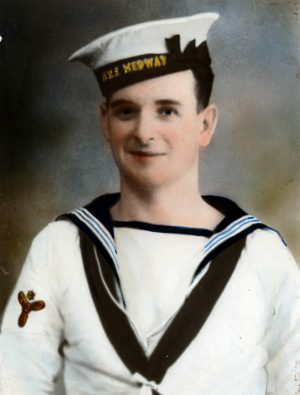 A merchant seaman from Barbados, he had lived in North Shields from the 1940s through until his death in the early 1970s. Visit the gallery of photographs: North Shields Portraits. Who knows? You might find a relative too! If you have any information about any of the portraits, please let us know.